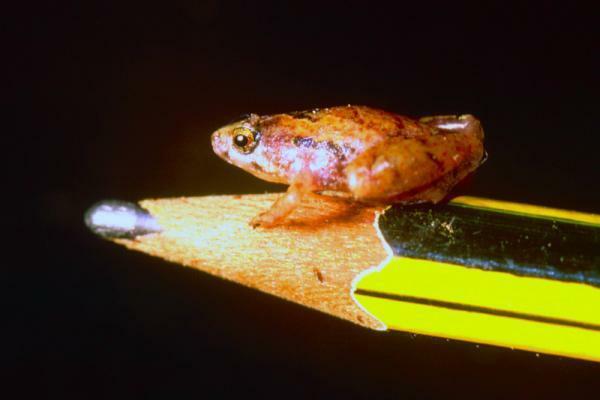 That is a really tiny frog, Microhyla nepenthicola. It was found on Sarawak in Borneo, living inside of the pitcher plant Nepenthes ampullaria. Yet another example of pitcher plant symbioses, which is of great interest to me (here and here).